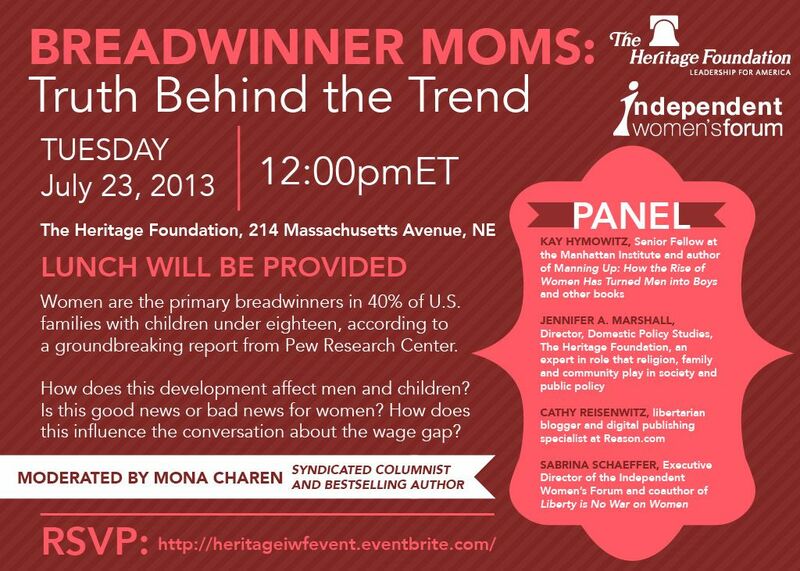 (WASHINGTON, DC) -- On Tuesday, July 23rd, Independent Women's Forum and The Heritage Foundation will co-host "Breadwinner Moms: Truth Behind the Trend," a panel discussion that takes a substantive look at the rise of U.S. women as the sole or primary earners for their families. The release of a groundbreaking report from Pew Research Center, reporting that women are the primary breadwinners in 40% of U.S. families with children under eighteen, has sparked much debate. How does this development affect men and children? Is this good news or bad news for women? How does this influence the conversation about the wage gap? The briefing will be held at The Heritage Foundation (214 Massachusetts Avenue, NE) from 12:00 to 1:00 p.m. (lunch will be provided). It will be live-streamed online at http://www.livestream.com/heritagefoundation/. Follow along on Twitter with#BreadwinnerMoms hashtag. 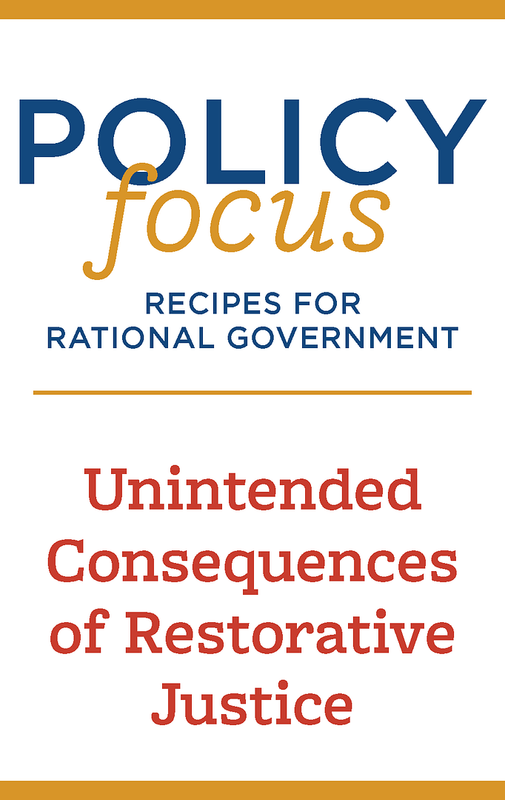 This even is co-hosted by Independent Women's Forum and The Heritage Foundation. To RSVP, please visit http://heritageiwfevent.eventbrite.com/.